Next year could be a big year for mobile TV in Europe, as we're expected to tune in to the Beijing Olympics and the Euro 2008 tournament on our mobiles. The European Commission (EC) wants to make mobile TV more streamlined within the EU, saying that Europe needs one common standard for mobile TV. The EC yesterday gave its support to the Nokia and Motorola-supported DVB-H technology for broadcasting TV to mobile phones. DVB-H - or Digital Video Broadcasting for Handhelds - is the most widely-adopted of the three technologies that enable mobile TV in the European Union. "DVB-H technology is the strongest contender for future mobile TV, with successful commercial launches and trials in 18 European countries, and increasingly worldwide," said Viviane Reding, the EC's media and telecoms commissioner. Rival systems used for mobile TV in Europe include DMB or Digital Multimedia Broadcasting, which is widely used in South Korea, and another provided by US firm Qualcomm . In the UK, Virgin Mobile offers DMB-based technology, while Vodafone , T-Mobile and O2 plan to show mobile TV using DVB-H. Mobile TV allows the broadcasting of live programming, news and sports direct to mobile phones but has yet to take off in Europe. But next year is set to be a big year for mobile TV as people may tune into watch the Beijing Olympics and the Euro 2008 football championship on their mobiles. Having just one standard will make it easier for mobile TV watchers, just as the mobile phone industry previously agreed on the GSM standard in the 1980s, the Commission said. "Europe is today at a crossroads. We can either take the lead globally - as we did for mobile telephony based on the GSM standard developed by the European industry - or allow other regions take the lion's share of the promising mobile TV market," Reding said. "Wait-and-see is not an option." 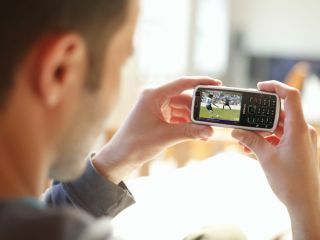 The European Union believes the mobile TV market could be worth over £13 billion by 2011. For more on what the EU's adoption of DVB-H means, check out Mobile TV: one standard to rule them all?